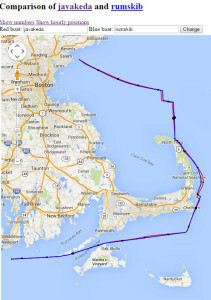 The route from the start showed a three-tack beat from Boston to the north end of the Cape. 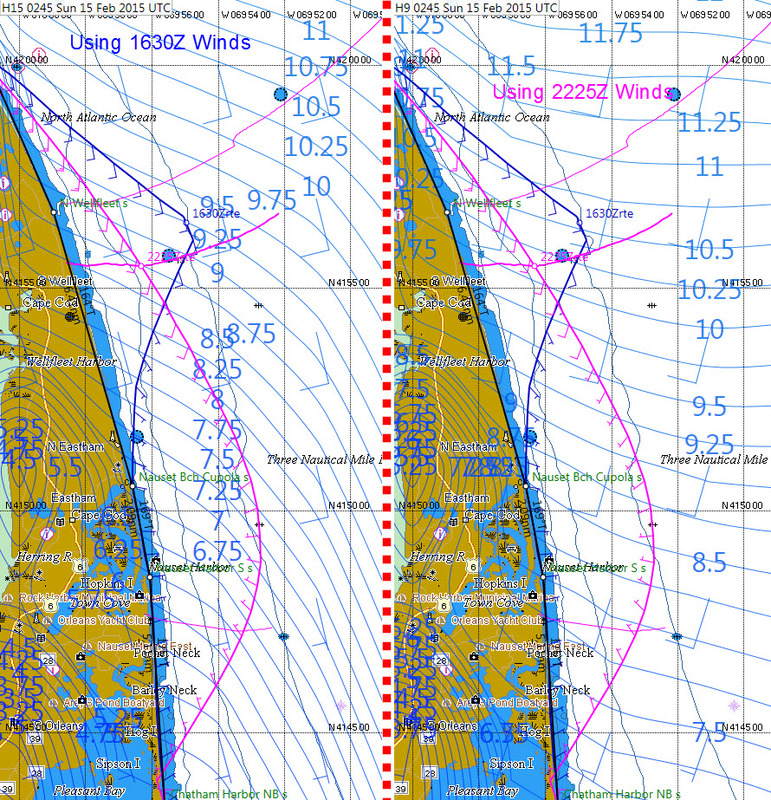 The second tack was recommended at 2237Z … just after the scheduled wind update. 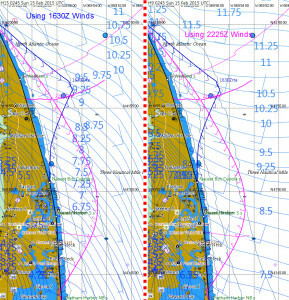 I wondered if I would have time to route using the 2230Z winds before tacking. The winds showed up at 2225Z — five minutes early! Check-off that checkbox in the Beta test. With the WX the timing of the second and third tacks changed slightly. 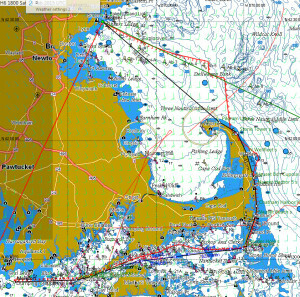 But we were still making landfall about 7nm east of Race Point. This neatly avoided the wind shadow north of Provincetown. That wind shadow would never show up if we were using low resolution winds. 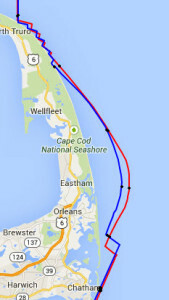 After the landfall, short-tacking close to shore required hands-on sailing to avoid BBQs. Time zones came into play at this point, with many European skippers opting for longer, and hopefully safer, tacks. The new winds brought big changes east of the Cape. The off-shore excursion was a one-tack beat when routing from the 1630Z forecast. After the WX, the beat morphed into a complex matching of boat heading to winds that are both shifting and decreasing. In the images above, the ‘barblets’ attached to the two route-lines indicate wind speed and direction as it changes along each of the routes. The 1630Z route, in blue, heads off-shore on a starboard tack and comes back toward shore on a port tack. 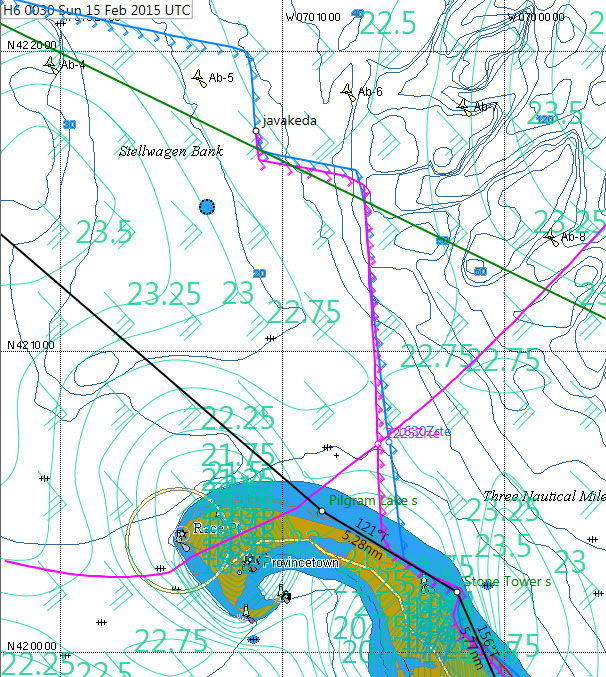 The 2225Z route, in pink, heads off-shore on a starboard tack beat and returns to shore on a starboard gybe run. The difference is all in the wind shift. No tack or gybe takes place during this time. 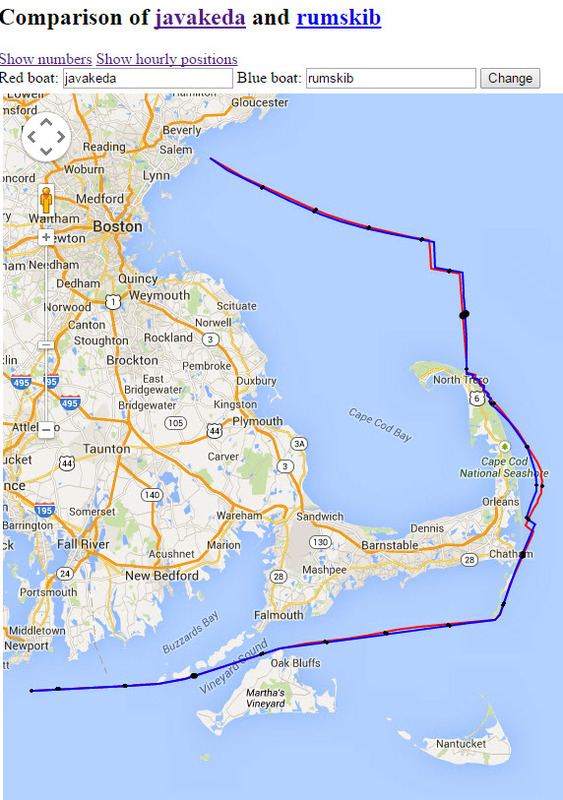 Skippers who set DCs prior to the 2225Z WX and went to bed had no way to win east of the Cape. It didn’t matter whether the DCs were based on COGs or TWAs, the results were a mess. Using hmm’s software to compare javakeda’s track with rumskib’s, I was amazed that the tracks were so similar. 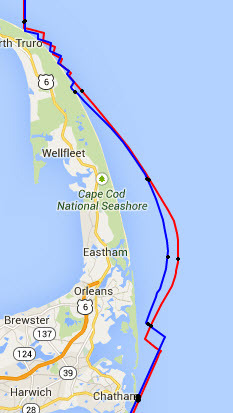 Javakeda had 9 short-tacks along the Cape’s NE shore. But the PERF penalty for that, at our BtSpd, was minimal. It was the off-shore excursion that made the difference. Javakeda went slightly more east. I had run a route for that, but the router output was useless for DCs. 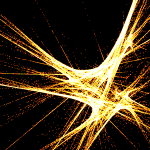 There was too much interpolation error. Instead, using the router display and the SOL client as a visual guides, I concentrated on matching TWA to the shifting winds by hand. Rumskib was closer to the Cape and would have to gybe first. If I could keep javakeda south of rumskib, I could cross and cover after his gybe. I used hmm’s “latest data” page to compare boat data. I used the polar calculator in SPINNACER to see how much I could foot downwind without giving up too much VMG. When the cross came, javakeda was south of rumskib by about 300m. Now, all I had left to do was round five headlands, go through two more WXs, and stay awake for another nine hours, or so … all with rumskib on my transom — waiting. Not that he wished me ill. He is too much of a gentleman for that. But I’m sure if I had made an error, he would have accepted the gift.